Sir Fazle Abed is the founder and chairperson of BRAC. Last year at the RESULTS International Conference Joanne Carter, Executive Director of RESULTS and I interviewed him about how and why BRAC developed the Ultra Poor Graduation approach. The text below provides a lightly edited compilation of those interviews. This interview originally appeared in the Global State of Ultra-Poverty. 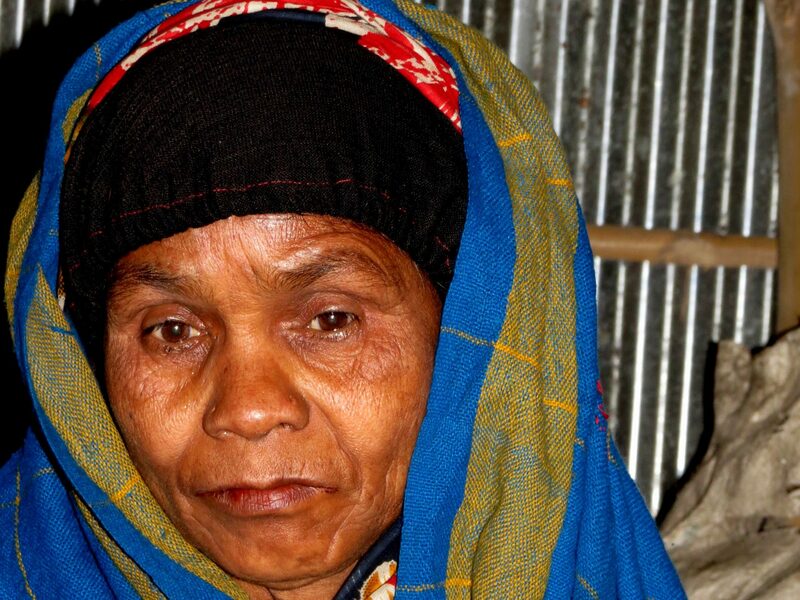 What does the face of ultra-poverty look like in Bangladesh? Ultra-poverty is a woman-led household, with children. The woman does not have many skills, so she would get domestic work or very low paying agricultural work. She doesn’t get paid properly. She probably gets food for her work. She shares her food with her children, so she’s half fed and her children are half fed. She’s in a trap and doesn’t know what to do. She can never build up a surplus and she will not be able to send her children to school. At age 7 or 8 the children get farmed out to other homes to become domestics, and she will somehow or other survive. So that is what the life of a woman trapped in ultra-poverty is. She would also lose all kinds of kinship relationships in the villages. Because she’s poor and most people think she’s going to ask for help, they will avoid her. That’s one of the big problems, her kinship relationships are very much reduced. She had no one else to rely on. My conception of ultra-poverty is that she’s trapped, she’s avoided by people, she’s marginalized, her kinship relationships are very fragile. This poverty passes to the next generation. Her children start working at 7 or 8, they have no school, so they also would be at the bottom of the pyramid. They are malnourished; they are stunted. They end up repeating the cycle, because with no education they cannot get good jobs, so they also become domestics or low-paid agricultural workers. Were the women living in these conditions participating in your microfinance program? I remember in 1995 we thought that we had covered everybody with microfinance (MF) and that microfinance was having a great impact on everybody, but a survey was done in Bangladesh and we found that 10 % of the poorest Bangladeshis didn’t have access to MF, so we wanted to find out why was this, because our MF was focused on poor people. But then we found that the poorest are excluded. First of all, they themselves didn’t think that they could use financial service profitably. Secondly, they won’t be able to repay their money. Then thirdly, there was the group within the village who were poor but they thought that this group was too poor to be able to repay their loans. Borrowers in our microfinance program said “No, no don’t touch them because they won’t be able to repay their loans.” They kept them out. They’re trapped, trapped in a sense that they can’t get out of poverty with the kind of programs we have, government programs or other programs by microfinance orgs, non-governmental organizations (NGOs) and so on. So we needed to design a program to get them out of poverty. What were the key components of the program you designed? First, we had to be able to identify the poorest in the village. We involved the village itself. The villages worked with us to identify households in terms of wealth, producing a wealth ranking which identified the poorest 10% for us. 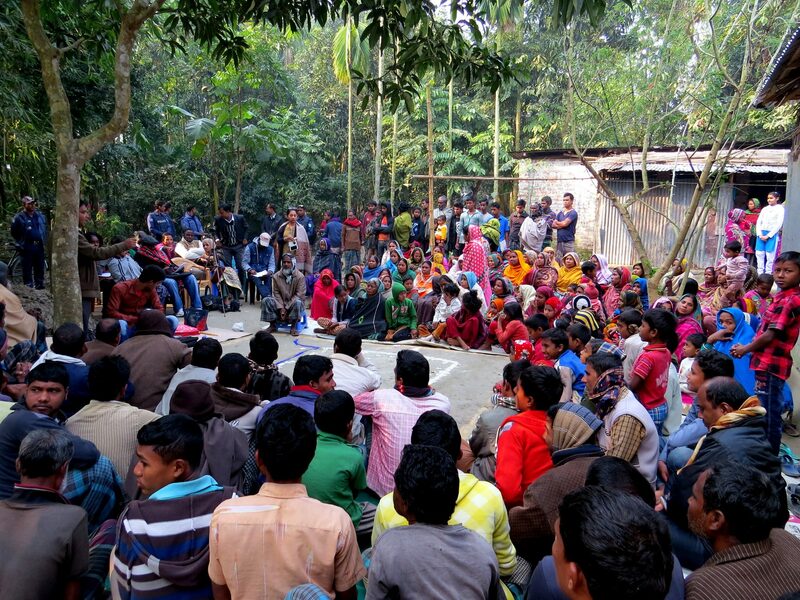 We held an open session with the entire village where they decided who are the poorest. Then our workers went to these households to find out whether they were in fact the poorest. If they found they were so, we took them in. Next, we provided them not with a loan, but a grant, an investment. We called it a transfer of assets. It could be a cow, it could be half a dozen goats, and so forth, something that could give them an earning. Thirdly, we provide them a stipend so that as long as the income-earning source was not earning anything they could still meet their needs. Fourthly we provided them training and handholding, coaching, and taught them to save money, building a savings habit. We also provided access to health care. We supported them in this way for two years. We also put their children in school. We didn’t want their children to reproduce poverty again. These are the combination of interventions that BRAC gave each family. It cost us approximately $500 per family. After two years they were on their own. It was a program that was designed for two years and after that they were supposed to get out of poverty gradually over time. We called it graduation because they were supposed to graduate out of poverty. A meeting of all the members of a village to determine who among them are living in ultra-poverty. How did you come up with this combination of services for people living in ultra-poverty? How did you figure out the package and the sequencing of things that was needed? Basically, these were the things we knew we could do. Except the health care, we didn’t start with a health care program for everybody. But then one or two of our early clients had problems with health and didn’t know how to deal with it and we said “Alright, we’ll look after it.” After that we provided a doctor and the consultation fee was provided by BRAC. We also made it free for them to get whatever drugs they needed. We felt that they needed all these services. We decided to provide them and then see what they could do. How did you decide that regular coaching would be a key part of the approach? So, the coaching became very important because it helps build self-confidence. Many of them were not very financially literate, but they learned that if they saved so many taka (Bangladeshi currency) a week it would enable them to do more. A BRAC Program Manager provides one-on-one mentoring to his participants every fortnight. You’ve told us before that you found that savings to be an essential first step in development, otherwise people couldn’t think about the future. Savings is about the future, without that they are just thinking about today. Savings is very important. Savings means that they are really thinking about the future and how their situation might improve. What have been the results of this program in Bangladesh? More than 90% of the women who have participated have been able to graduate into providing their own livelihoods. We also found that the program succeeds in bringing the participant back into the mainstream of the kinship and village relationships. After she has her cows, everyone wants to know her. Most of these women will say, “They didn’t want to invite us for weddings and so on, and now they do.” Her status has changed. People used to avoid her before, now they talk to her. So that itself is uplifting for her. We have now graduated 1.7 million families. A little while ago the London School of Economics did a study that showed that even seven years after a family has left the BRAC program, they continue to improve their condition compared to the control group. They have continued to improve themselves rather than leveling off to a steady state. There seems to be some change that happens to people that propels them to continue working hard to improve themselves. Has anything surprised you about the results of the program? When I first started thinking about this program and started doing some pilots before 2002, I never thought they would graduate out of poverty and go on improving themselves. That’s something that surprised me. Not only are they doing well, but each year they were advancing at a higher level of consumption. Even seven years later. I also thought that after they finished and graduated they would become our microfinance clients. What I found is that almost half of them didn’t want to borrow. They were quite happy with their savings and assets. But then after a little while they would gain confidence and start borrowing to expand their livelihoods. 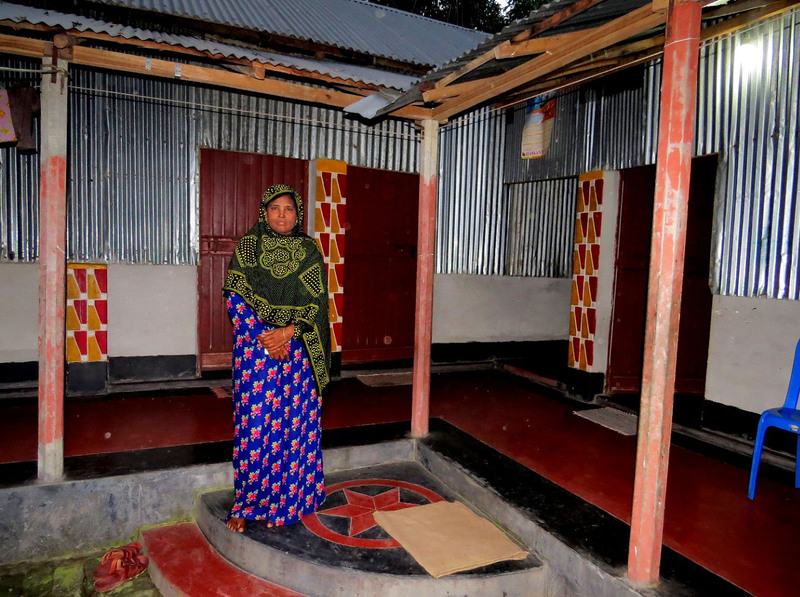 Golenoor, one of the original participants in the Ultra Poor Graduation Program, has continued to improve her situation 15 years after graduating. A program that reaches 1.7 million people is huge. What lessons do you have for others about building for scale? Scaling up to me is very important in the sense that otherwise you don’t really have an impact. Remaining small and beautiful is not my philosophy. I’m all for big and impactful. That’s what we need if we want to end poverty. We want everyone to come out of poverty, so it’s important to scale up things. The way I scale up, I first do a small program and make it effective. Then I try to make it efficient. The way I try to make it efficient is by cutting down the inessential tasks and focusing on the essential tasks, making it as efficient as possible. Then we can scale up things regionally or nationally. I have to convince donors, I have to find the money, so I have to show that the results are good on a small scale. As it grows we also have to go on innovating so that it continues to be more and more efficient. You also have to have the capacity within your organization to be able to scale up. The first thing to do is to have a good human resource department that can recruit people and a good training department that can train all the people that you will need. Then you need a good accounting and audit department so that you can keep track of all the money that you are going to spend. All these things have to be done with a view to scaling up. What has happened with programs in other countries that have adopted this approach? 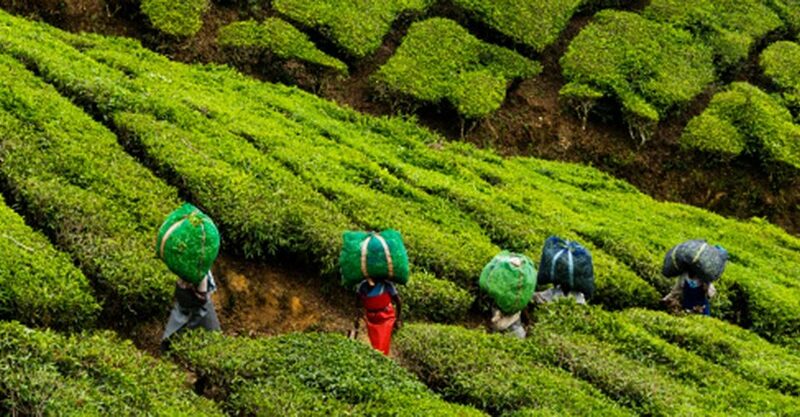 The CGAP program of the World Bank and the Ford Foundation saw the success of this program, and they replicated it in ten sites in eight countries. They also paid for a number of randomized controlled trials. The results of these studies, done by MIT and Yale University, were published in Science Magazine in 2015. The results showed positive benefits to clients and a positive return on investment. Nicholas Kristof came out with an article in the New York Times saying that the studies demonstrated the power of hope. Poor women, heads of households, have always suffered from lack of resources, but now were suddenly getting a big push in terms of resources, health, training, getting their children to school. With these resources, they saw that their life can be changed by their own work. What do you hope to see in the future as other countries adopt this approach? We know that this is not the only answer to the problem of poverty in the world, but we do know that this is a proven way to tackle ultra-poverty, particularly for families who have been trapped in poverty. 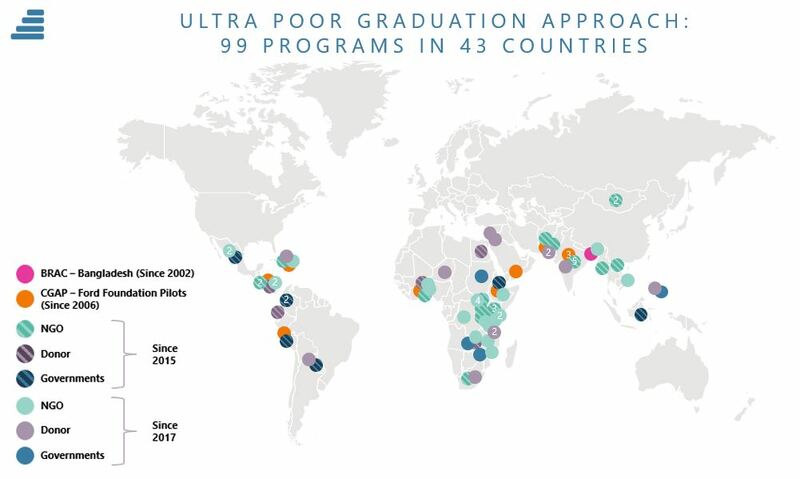 We want to see this spread to every country that struggles with ultra-poverty, and we are willing to help share what we have learned with anyone that wants to employ this approach. So that is what we are trying to do. The government of Mexico using the Graduation Approach in its main social welfare program, Prospera. Wonderful interview with Sir Abed Hasan. His thee “Es – first do something that truly serves a need -Effective, and then work to make that effective initiative “efficient” and only then “expand” should be the core program implementation plan of any development effort. Too bad “the three E model is so seldom followed.